As of March 1st 2016, Carol Scheidel, has assumed outright ownership of R.J. Buckle Associates, LLC and is now CEO of R.J. Buckle Associates, LLC. Carol has been an instructor for R.J. Buckle Associates, LLC for many years. The business will continue very much as it is now, but with some exciting new ideas on the horizon. 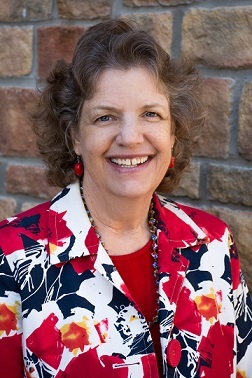 Carol Scheidel graduated with a Bachelor’s Degree in Nursing from California State University, Chico in 1975. Her clinical practice areas have included neonatal ICU, cardiac ICU, emergency, community health, pre-hospital care, rehabilitation, and long-term care. Her roles have included staff nurse, clinical educator, unit manager, and administrator. She has presented for local, state and international organizations. She is comfortable speaking to small discussion groups or full auditoriums. Carol recently retired from Texas Health Harris Methodist Hospital Fort Worth (THFW), a 700+ bed tertiary care and Magnet facility. Her position was Manager of Ethics and Clinical Aromatherapy Lead Instructor. She was a founding member of the hospital’s Healthy Healing Opportunities (H20) Committee. The H20 Committee was dedicated to integrating complementary medicine with traditional western medicine. She continues to support the aromatherapy program at Texas Health Fort Worth Hospital by coordinating and teaching the R.J. Buckle Associates, LLC Clinical Aromatherapy Practitioner course for healthcare professionals. Carol completed R.J. Buckle Associates, LLC Clinical Aromatherapy Practitioner Course in December 2004 and the Instructor Course in May 2005. She also teaches the 'M' Technique® courses. Click here to contact Carol Scheidel. R.J. Buckle Associates, LLC was started in 1995 by Dr Jane Buckle, a critical care nurse, trained in clinical aromatherapy. Dr Buckle also pioneered the M Technique®. R.J. Buckle Associates, LLC delivers the most comprehensive and respected course Clinical Aromatherapy for Health Professionals in clinical aromatherapy - one that is evidence-based and research backed. Certification from this program allows the practitioner to put CCAP (Certified Clinical Aromatherapy Practitioner) after their name. R.J. Buckle Associates, LLC also promotes physical and mental nurturing for patients and their care-givers, in the form of the 'M' technique®. 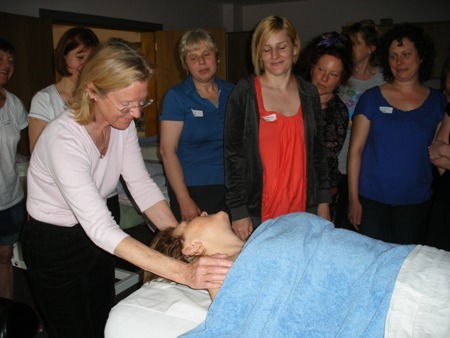 The 'M' Technique® courses are open to licensed health professionals and to lay people. R.J. Buckle Associates, LLC ’s mission is to be the most respected, trusted and empowering educational system for clinical aromatherapy and the 'M' Technique® in the USA, and to spread the word about these two complementary therapies worldwide. R.J. Buckle Associates, LLC, directed by Carol Scheidel, RN, CCAP, is assisted by a team of hand picked and certified instructors who are mainly nurses.